Practical, spacious Fiesta based small SUV. Impressive 1.0 EcoBoost engine. Good quality ride. Low lip to rear load area. Tailgate opens wrong way for right hand drive. Handling not up to usual Ford standards. Spare wheel on rear door optional from September 2015. 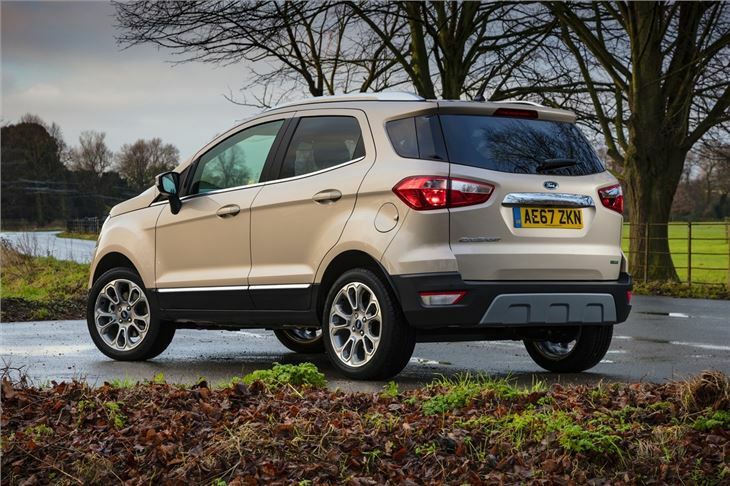 With small SUVs becoming ever more popular it's no surprise to see Ford getting in on the act with the new EcoSport. A rival to the likes of the Nissan Juke and Renault Captur, the EcoSport is based on the Fiesta and is the same length, yet it's impressively spacious inside with plenty of storage, practical seats and a raised driving position. 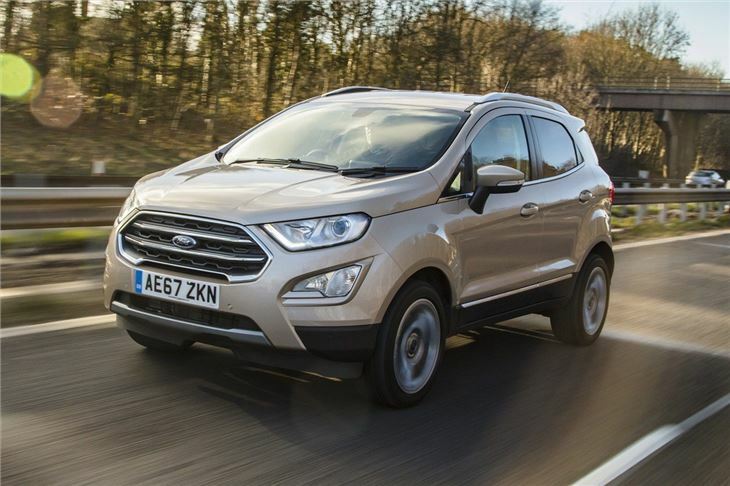 The EcoSport name isn't actually new – a first generation model, based on the Fusion, was launched in Brazil in 2003 and this all-new car was designed and engineered in Brazil with models for the UK being built in India. 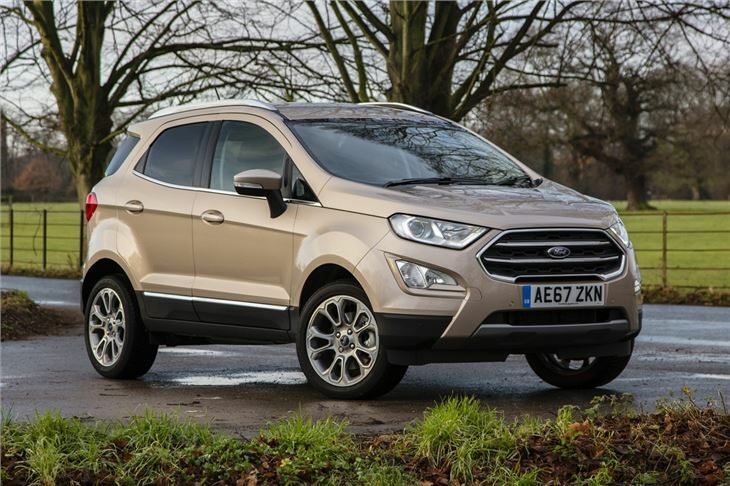 Only two-wheel drive models will be sold here with a straightforward engine line-up of a 1.5-litre petrol, a 1.5 TDCi diesel and the three-cylinder 1.0 EcoBoost engine which offers the most sprightly performance. 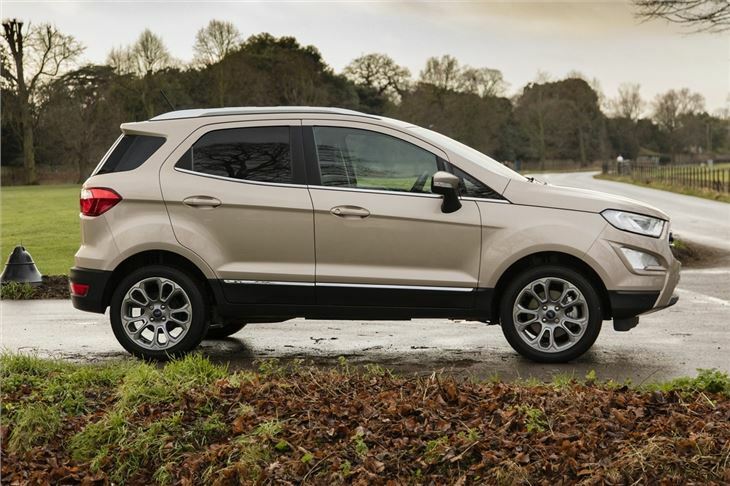 It's fair to say it's not Ford's most adventurous design, but it does look good from the front with a strong mini-SUV look. We're far less convinced by the rear though. That spare wheel stuck on the back is reminiscent of an old Toyota RAV4 and looks dated. 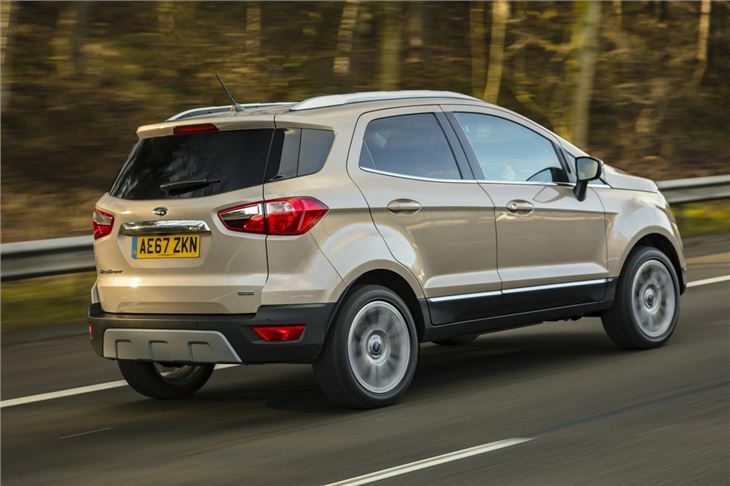 It also means the EcoSport has a side hinged tailgate door which is awkward to open in tight spaces. Hardly ideal for a car designed for urban use. 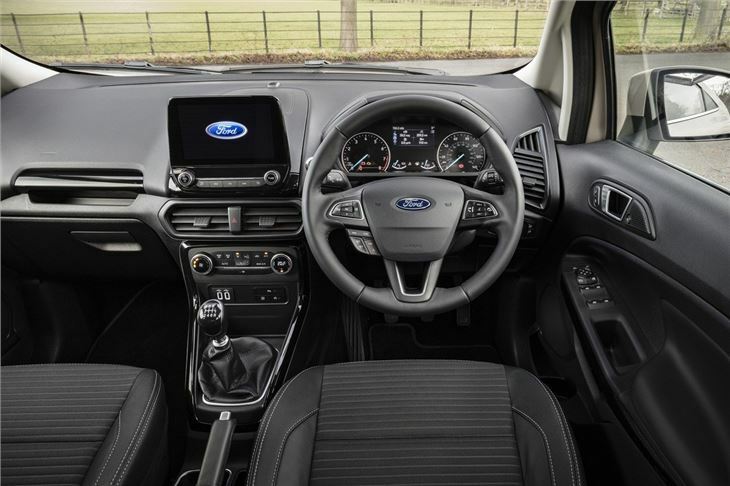 It's better inside with a good quality interior and a neat layout that follows the Fiesta. 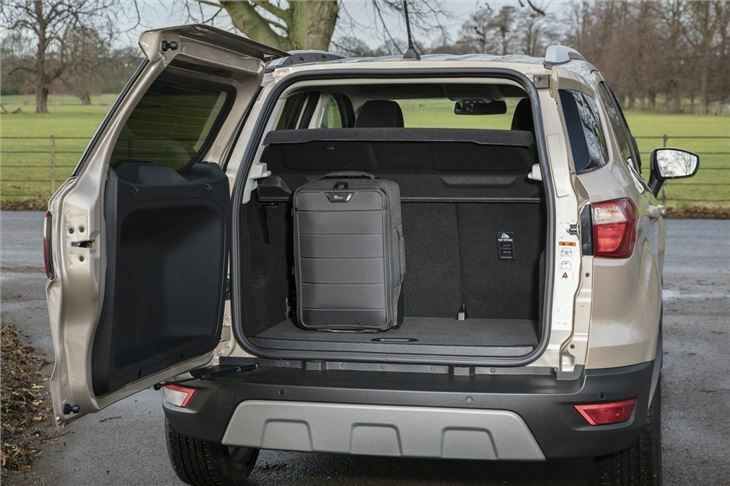 There's an impressive amount of stowage and it's practical too with rear seats that fold and flip up along with a good sized boot and only a small boot lip. Rear passenger space is generous too with good leg and headroom, even for those six foot plus. The other area where the EcoSport impresses is equipment. All UK models are Titanium trim and come with plenty of kit including 16-inch alloys, climate control, keyless entry and start, a multifunction steering wheel and electric windows all round. For another £1000 you can add the Titanium X pack which includes leather seats, cruise control and 17-inch alloys. A very comfortable and practical car.